What happens after my OVI? | Yavitch & Palmer Co., L.P.A. What happens after my OVI? Learn what to expect after your OVI conviction in Columbus. Arrest. Court. Fines. Now what? 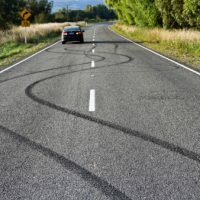 Once you’ve gotten past the initial implications of an Operating a Vehicle Impaired (OVI) conviction, what happens next? Will your insurance premiums go up? Will you lose your job? Will you lose your kids? Every case is different, making it critical to enlist the help of a Columbus criminal defense lawyer if you’re racking up points on your record. Keep reading to find out what to anticipate. Will I lose my license if I’m convicted of OVI? You’ll face consequences right off the bat when you’re arrested for OVI in Ohio if you refuse to take a blood, breath or urine test. You can lose your license for one year if this is your first refusal, for two years for your second refusal within six years, and for three years for your third refusal within six years. For any subsequent refusal, you’ll give up your license for five years. And keep in mind, if you have been convicted of an OVI two or more times within six years of your last offense, the arresting officer can use reasonable force to obtain a sample from you. If you do take a chemical test and fail with an unacceptable reading, an Administrative License Suspension (ALS) will automatically begin, meaning you’ll will lose your license anywhere from 90 days to five years, depending on your driving history. Your license will be confiscated on the spot, in addition to any punishment or suspension time you receive from the court. The license suspensions can change after conviction. And the length of suspension varies based upon prior record, the court, and plea negations. But expect at least a 6 months suspension for a first offense conviction. Will my insurance premiums go up if I’m convicted of OVI? The results of driving irresponsibly could impact your auto insurance premium—in fact, one at-fault accident can result in up to three years of surcharges. More than one could place you in a higher risk category or even be cause for non-renewal. The practical effect of a conviction will vary based on the policies of the insurance company and prior driving records. Proof of financial responsibility must be filed with the Bureau of Motor Vehicles and maintained for three years. Your insurance company will notify the BMV if, within the three-year monitoring period, your policy lapses, is non-renewed or is terminated. Upon completion of suspension, a remedial driving course approved by the Director of Public Safety must be taken. The course must include a minimum of 25% of its classroom hours devoted to instruction on driver attitude. Can I get a job after my OVI? The simple answer is yes, but it depends on the employer. An OVI conviction is a matter of public record, so any current or prospective employer, if you’re interviewing for jobs, can see an OVI conviction on your record. That said, not all employers conduct a background check, and generally OVI convictions become less detrimental over time. However, if your potential job offers a company car or requires driving, paying the insurance on someone with a record can simply be too pricey for a business owner to cover. If the company has “fleet” coverage for all its vehicles, their insurance company may threaten to cancel all the entire policy if only one driver with an OVI is driving an insured car. Sometimes companies can allow individual coverage to avoid these consequences. Often in depends on the employer and, in large part, how important you are to the company. In addition, any job involving children or handling prescription drugs can but tough for someone with a substance abuse record to land. I’m going through a divorce. Will an OVI affect my custody rights? An OVI can affect everything from visitation rights to whether one parent is granted sole custody. The two factors holding the most weight in divorce court are the amount of time since the last offense, and the total number of convictions. If it has been years since your last conviction and you’ve complied with all of your court orders and paid your fines, it’s unlikely the judge will hold an OVI against you. The general question in custody cases is almost always: “what’s in the best interest of the child(ren).” Courts will likely consider an OVI conviction in making this determination. It’s important to notify your lawyers of potential custody issues as soon as you can. It’s also important to get a solid referral for a domestic relations attorney for any advise regarding child custody. Are you up against an OVI in Ohio? We all make mistakes. If you’re facing an OVI conviction, time is against you. Call Yavitch & Palmer at 614-224-6142 or fill out our online contact form to make an appointment to meet with our experienced team today. Click here to learn about Stephen Palmer’s 19 years as a Columbus drunk driving lawyer.